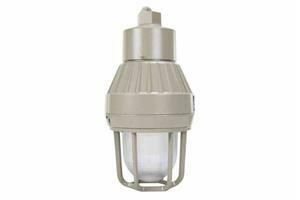 /EIN News/ -- KEMP, Texas, Nov. 17, 2018 (GLOBE NEWSWIRE) -- Larson Electronics, a Texas-based company with over 40 years of experience spearheading the industrial lighting sectors, announced the release of an explosion proof light housing for customer provided lamps that is designed for hazardous locations. This unit is approved for Class I, II and III, Divisions 1 & 2 worksites and is corrosion resistant. 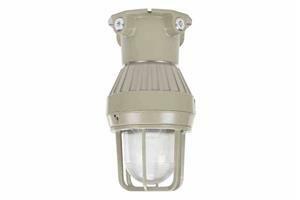 Made of die cast aluminum and waterproof, this light fixture is UL tested to withstand 1490 pounds per square inch of hydrostatic pressure and operates at a maximum voltage of 250V AC / 125V DC. 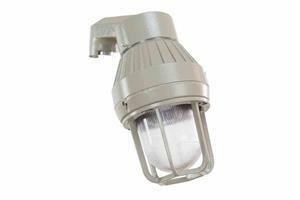 Available with 4- 3/4" wiring hubs, the ceiling mount option provides the most rigid and secure placement of the fixture when mounted to ceiling locations. Available with a single 3/4"wiring hub, the pendant mount option allows operators to suspend the fixture from the ceiling or other suitable mounting location. Available with a single 3/4" wiring hub, the stanchion mount option allows operators to mount this unit in locations where vertical or horizontal wall or ceiling mounting is unavailable or undesirable. 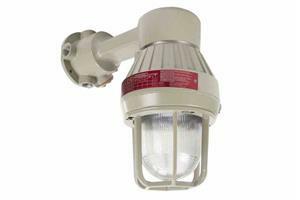 The EPL-CM-100W-NL explosion proof light housing features an E26 lamp socket that is compatible with A19 and A60 style incandescent lights up to 100 watts, compact fluorescent lights up to 26 watts and LED lights up to 15 watts. This unit is UL approved specifically for Class I, Divisions 1 and 2, Groups C and D, Class I, Zones 1 and 2, Groups IIB and IIA, Class II, Divisions 1 and 2, Groups E, F and G and Class III, Divisions 1 and 2. This unit also has a NEMA 3, 4 and 4X rating and is suitable for wet locations. Larson Electronics’ durable light housing comes in a variety of mounts, including a pendant mount with a single 3/4” wiring hub allowing the unit to be suspended from the ceiling or other locations, and a wall mount with four 3/4" wiring hubs allowing the unit to be attached to flat surfaces such as walls, bulkheads or entryways. The unit also comes in a ceiling mount with four 3/4" wiring hubs allowing the fixture to be securely mounted to the ceiling, and a stanchion mount with a single 3/4" wiring hub to be mounted in locations where vertical or horizontal wall or ceiling mounting is not available. Suitable applications for the EPL-CM-100W-NL explosion proof light housing include oil refineries, petrochemical plants, paint spray booths, offshore rigs, marinas, docks, warehouses, garages, commercial buildings, emergency lighting systems, mounted lighting, ammunition facilities, tank farms, pipeline pumping stations, marine loading, fuel transfer terminals and more.